Amex / Foursquare … what I’ve discovered so far! Amex / Foursquare 2013 … what I’ve discovered so far! So, how is the American Express / Foursquare 2013 promotion going for you so far?! On Wednesday I picked up 6 x £50 gift cards in Harrods, and on Thursday I got 3 x £50 in House of Fraser. I probably made a mistake in Harrods by buying 6 separate £50 cards with my 6 Amex’s. A comment on Flyertalk said that the Harrods tills cannot process more than 4 gift cards when you redeem them, so I can’t use all 6 at once on that basis. The only workaround would be to buy a £200 gift card using 4 x £50 gift cards and then redeem that! I’ve already had Foursquare notifications for the BA Amex and Amex Platinum transactions. I got nothing for the Lloyds TSB cards but that is par for the course. I have always got cashback on the Lloyds cards before even without receiving notifications. The T&C’s in the original email on this promotion said that only Harrods Knightsbridge was included. This presumably means that purchases at Heathrow do not count, neither do online purchases. Harrods gift cards cannot be used at Heathrow according to their website, but they can be used on the harrods.com website and at all bars and restaurants in the Knightsbridge store. You cannot double up on Harrods Rewards points. Whilst they will swipe your Harrods Rewards card when buying a gift card, it does not earn points. You will earn points when you spend it. However, as you need 500 points (£500 of spend) to earn any rewards, it is not worth it if you don’t plan to visit the store again this year. For House of Fraser, I went to the Victoria store. This is the store that time forgot – I can only assume they are tied into a lease they can’t escape. It never has any customers (at least outside lunchtime during the week) and only about 1 in 10 tills is manned. A large part of the basement has been sublet to Gap. Looking at the receipts, the House of Fraser gift cards are valid for two years. This gives me confidence to buy another 3 gift cards – there is no risk of not being able to spend £300 in 2 years, even if it all goes on cosmetics for my wife! House of Fraser gift cards can be used on their website. Yesterday, I used £53.99 of my new balance to buy a new smart cover for my ipad. For some reason, House of Fraser is discounting their remaining ipad smart covers by 10%, so if you want one then take a look online. Quidco cashback is also available. You cannot buy gift cards online to trigger the bonus – the website confirms that they go through as ‘Voucher Express’ and are delivered by a third party. It is not clear if other houseoffraser.com purchases will trigger the Foursquare bonus. Comments elsewhere have focussed on the fact that the Oxford Street flagship store does not offer the ‘special’ on Foursquare. 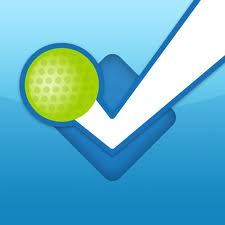 However, people have successfully ‘checked in’ at Victoria Street and spent the £50 at Oxford Street and got Foursquare notifications. The Victoria House of Fraser has a fantastic off-licence on the top floor! There is a surprisingly decent selection of premium wine, spirits and a very wide range of champagne. The champagne seemed a little pricey, but only because supermarkets are so aggressive these days. Cloudy Bay Chardonnay 2008 was £21, which was only £1 above Laithwaites. I did not check if you can earn Recognition points in their loyalty scheme for buying the gift cards – I have enough points balances to juggle as it is! I am deliberately giving these a miss, though! I can’t do everything …. Oddly one of my MBNA issued Amex cards has had notification received for all four purchases I’ve made (Gap, Banana Republic, Harrods, HoF), but the other card had none, despite me following the same process for each one. Anyone else with MBNA have this happen and have you seen the cash come through anyway? I only have 1 mbna card. Confirmations have been inconsistent yet I have always got the refund. Update – refunds just came through today on both MBNA cards, timeframe was the same as with my Amex-issued cards. In my quest for yet more Amex offers I stumbled across another website that lists offers for Amex & Foursquare as well as non Amex deals which may be of interest to some folk. Bit of feedback after a shopping trek around London yesterday. HofF – topped up existing gift card using two new Amex cards. Banana Republic – bonus discount. I was genuinely dithering over a jacket that was was £130 and the sales assistant said that if I came back today there was 20% off or she’d give me 15% off on the spot as a new customer. I think this is the email signup bonus that you aren’t meant to be able to use with gift card purchases. Get the right person and it seems that you can. Harrods – one purchase for a £100 gift that they happily split across two cards (no need for gift cards). Another £50 purchase down in the wine section with no problems. Gap – gift cards split across three cards with no problems. They confirmed that the Banana Republic card could not be used in Gap stores. Carphone Warehouse only real problem of the day. One iTunes card no issues. Asked about a CW gift card which they did but it’s in the form of a printed out credit note – fine for me but not as a present. They also thought that they might be able to do gift cards for Sainsburys, Debenhams and Next. I said that I’d take a Sainsburys one as it was nearby but the till wouldn’t put it through. Sales assistant thought that it might be a Xmas thing that had been discontinued. I had the BA PP Amex, took advantage of all the Foursquare offers and duly received my refund. Coincidentally, I recently asked Amex to downgrade me to the BA basic card and they sent me a replacement card with a different account number. Could I conceivably get another round of FS offers by treating this as a “new” card and linking it to a new FS account? Has anyone tried this in the past? I purchased Harrod’s Gift Cards using my Lloyds TSB and Gold Card on the 5th of February. My Gold Card credit was applied within a few days. I have yet to see any credit on the Lloyds Amex Card. I emailed cardservices but have still not heard back! Any suggestions? NEW: 20,000 Avios sign-up bonus with Capital on Tap’s new small business Mastercard – and earn 1 Avios per £1 spent!